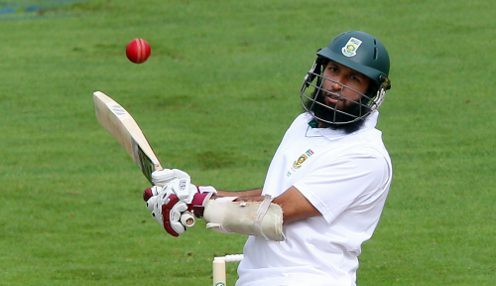 Hashim Amla is in the Cobras' T20 squad. Cape Cobras captain Rory Kleinveldt is wary of his team's poor domestic home form as they plot to win South Africa's Twenty20 tournament. Kleinveldt, a Twenty20 champion during a four-year spell with Northamptonshire that came to an end last September, acknowledged what a boost it would be to follow the opening victory over the bizhub Highveld Lions in Johannesburg with another win on the road versus Multiply Titans in Benoni. Cape Cobras are 6/5 to beat the Titans. However, his words came with a warning about improving performances - and results - when returning to their own turf. "Winning the first two games will put us in an excellent position," the 36-year-old former South Africa international said. "It's always good to win away from home. We'd now like to obviously carry this momentum to Benoni and then take it with us back home when we play the next game after that one in Paarl. "Hopefully we can continue where we left off against the Lions. "We have to try and improve on our home form. We struggled a bit in the Momentum One-Day Cup at home, hopefully we can turn that around in the T20 competition." Hashim Amla is featuring in the Cobras' T20 squad as he bids to unearth some white-ball form ahead of this summer's World Cup in England which South Africa are 9/1 to win.